So we are now well underway with a fresh week of trading in the biotechnology space and, as we reported yesterday, things have gotten off to a pretty volatile start with a whole host of fresh inputs hitting press at the market open on Monday. Tuesday is no different, with more companies putting out data and development program related updates and, in turn, these updates impacting share price in their respective markets. Here is a look at two companies that are moving as we head into the US session on Tuesday, with a description of what is driving the action in each. The two companies in our process for the session today are Karyopharm Therapeutics Inc. (NASDAQ:KPTI) and Regeneron Pharmaceuticals, Inc. (NASDAQ:REGN). So, first up, let’s look at Karyopharm. This one is a standard clinical trial data-driven move and, specifically, relates to a drug called selinexor, which the company is trying to demonstrate can be a safe and effective treatment for patients with refractory multiple myeloma. From a mechanism of action perspective, the drug works by inhibiting what’s called XPO1, a protein found in the nucleus of cancer cells, which activates tumor suppressors by retaining them in the nucleus of cancer cells. This results in apoptosis (death) of the cells in question and, in turn, the effective control of cancer progression. Or at least, that’s what the company helps. So what did the latest data tell us? Well, it derives from a phase 2 study called Storm that was set up to try and prove safety and efficacy in the above-mentioned refractory multiple myeloma patient population in the US. And as per the results, things look pretty good. An overall response rate (ORR) of 25.4% was recorded, which included two complete responses (CRs) and 29 partial (PRs) among the 122 patients enrolled. The median duration of response (DOR) was 4.4 months. Further, the drug looks relatively sound from a safety perspective, with the most common adverse events were nausea, vomiting, fatigue and reduced appetite. None of these are particularly severe adverse events (especially as compares to the spectrum of other treatment types in this population), meaning the drug should have a relatively simple time of picking up market share in this population if and when it hits the shelves. And that’s what comes next – Karyopharm plans to file New Drug Application (NDA) during 2H 2018. In line with this development, the company gained just shy of 12% on its market capitalization at the start of the session on Tuesday and looks set to maintain this upward trajectory heading into the US afternoon. 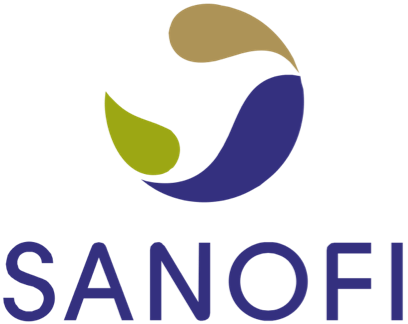 This one is actually technically about two companies – the just mentioned Regeneron and healthcare behemoth Sanofi (NYSE:SNY). On Monday, the companies reported that the FDA has accepted for priority review a Biologics License Application (BLA) for a drug called cemiplimab, which (as part of the collaboration) Sanofi and Regeneron are trying to get approved for the treatment of patients with metastatic cutaneous squamous cell carcinoma (CSCC). This is the second most common type of skin cancer in the US and it’s one for which very few treatment options exist once a patient has exhausted the standard of care early stage approaches. In other words, there’s severe need for a new option right now and cemiplimab, or at least these two companies and their respective shareholders hope, is going to fill that gap. So, with the latest news, the FDA has essentially said that it considers the application complete in its current iteration and that it should have no problem hitting the target PDUFA for the asset, which is slated to happen on October 28, 2018.